There may be 50 ways to leave your lover, but there are only two to see Paul Simon live in Seattle. You can experience him in a theater, Clarita, or catch him in a club, bub. The vaunted singer-songwriter was once, of course, half of Simon and Garfunkel, whose concert three decades ago in New York City’s Central Park gathered together 400,000 people to, as one wag observed, sing along to songs about alienation. “I want to play several songs from the new album and music from my repertoire that I either haven’t played in concert or have played very seldom,” Simon recently told Rolling Stone. “I want to let the band be freer. I’m actually really looking forward to this tour. I’ll play a few songs by other people, maybe a couple of Simon and Garfunkel songs. In other words, expect to hear more songs like the wonderful “Rene and Georgette Magritte With Their Dog After the War” and, well, “Late in the Evening,” rather than the majestic “Bridge Over Troubled Water.” If you can get in, that is: Tickets to the Showbox at the Market show go on sale 10 a.m. Friday, April 1, at Ticketmaster. And if you don’t act fast, you better make a new plan, Stan. Watch a video of Simon’s new song, “The Afterlife,” here. 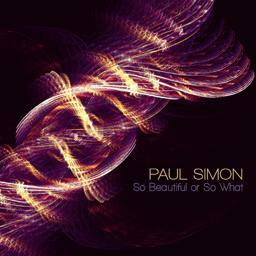 Visit Paul Simon’s official Web site here.